Stress is epidemic in the western workplace with almost two thirds of workers reporting high levels of stress at work. In high stress occupations, like healthcare, burnout is all too prevalent. Burnout is the fatigue, cynicism, emotional exhaustion, sleep disruption, and professional inefficacy that comes with work-related stress. 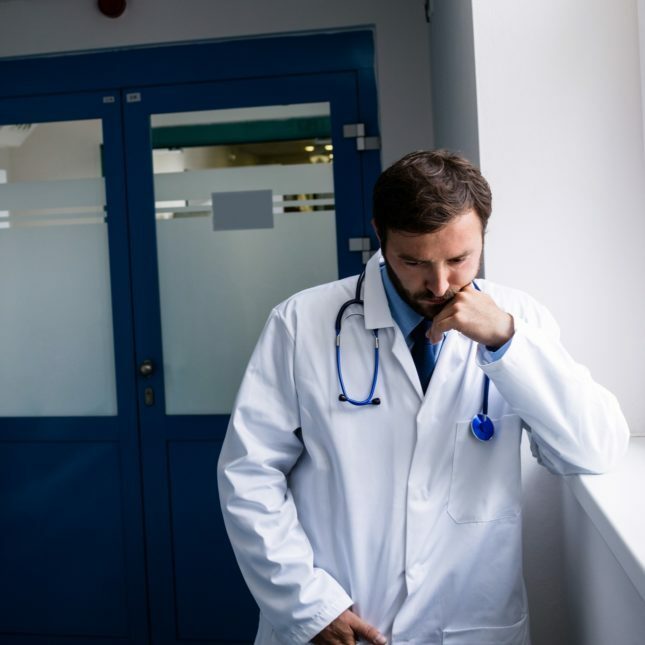 It is estimated that over 45% of healthcare workers experience burnout. Currently, over a third of healthcare workers report that they are looking for a new job. It not only affects the healthcare providers personally, but also the patients, as it produces a loss of empathy and compassion. Burnout, in fact, it is a threat to the entire healthcare system as it contributes to the shortage of doctors and nurses. Preventing burnout has to be a priority. Unfortunately, it is beyond the ability of the individual to change the environment to reduce stress and prevent burnout, so it is important that methods be found to reduce the individual’s responses to stress; to make the individual more resilient when high levels of stress occur. Contemplative practices have been shown to reduce the psychological and physiological responses to stress. Indeed, mindfulness has been shown to be helpful in treating and preventing burnout, increasing resilience, and improving sleep. It would be best to provide techniques to combat burnout early in a medical career. Medical School is extremely stressful and many students show distress and express burnout symptoms. Medical school may be an ideal time to intervene. In today’s Research News article “A Targeted Mindfulness Curriculum for Medical Students During Their Emergency Medicine Clerkship Experience.” (See summary below or view the full text of the study at: https://www.ncbi.nlm.nih.gov/pmc/articles/PMC6040904/ ), Chung and colleagues in an uncontrolled pilot study delivered a mindfulness curriculum to students during their training in emergency medicine. The training was delivered in 4-weekly 60 minute sessions that included meditation practice, readings, journaling, discussion, and developing a personal wellness plan. They completed questionnaires before and after the 4 weeks of training and 6 months later regarding the impact of the training on their behavior and attitudes. They found that in comparison to baseline, after training there were significant improvements in self-reported behaviors and attitudes. The students reported increased confidence in their ability to meditate and be mindful, explain these skills to others, and recommend these practices to others. They also reported that they practiced meditation and mindfulness more often and talked to others about these practices. In addition, they reported that wellness was important to medical students and that they were using their own wellness plan. Importantly, these improvements were still present 6 months after the completion of the training. These are very preliminary results from an uncontrolled pilot study and need to be verified in a randomized controlled trial with objective measures of wellness and resistance to stress. Previous controlled studies, however, have shown that mindfulness training is effective in treating and preventing burnout and reducing the psychological and physiological responses to stress. So, these present results are suggestive that this simple brief curriculum may produce similar benefits. It is important to use a brief training and this one only involved 4 hours of formal instruction. Medical students have a vast amount of important information to learn and master in a limited amount of time. They do not have the luxury of unused time for extensive instruction. So, a brief training that produces positive results that persist could be very valuable to their health and well-being during this stressful time and during a stressful career. So, increase wellness and decrease burnout in medical students with mindfulness. Chung, A. S., Felber, R., Han, E., Mathew, T., Rebillot, K., & Likourezos, A. (2018). A Targeted Mindfulness Curriculum for Medical Students During Their Emergency Medicine Clerkship Experience. The western journal of emergency medicine, 19(4), 762-766. Despite high rates of burnout in senior medical students, many schools provide the majority of their wellness training during the first and second preclinical years. Students planning a career in emergency medicine (EM) may be at particularly high risk of burnout, given that EM has one of the highest burnout rates of all the specialties in the United States We developed an innovative, mindfulness-based curriculum designed to be integrated into a standard EM clerkship for senior medical students to help students manage stress and reduce their risk of burnout. The curriculum included these components: (1) four, once-weekly, 60-minute classroom sessions; (2) prerequisite reading assignments; (3) individual daily meditation practice and journaling; and (4) the development of a personalized wellness plan with the help of a mentor. The design was based on self-directed learning theory and focused on building relatedness, competence, and autonomy to help cultivate mindfulness. Thirty students participated in the curriculum; 20 were included in the final analysis. Each student completed surveys prior to, immediately after, and six months after participation in the curriculum. We found significant changes in the self-reported behaviors and attitudes of the students immediately following participation in the curriculum, which were sustained up to six months later. Although this was a pilot study, our pilot curriculum had a significantly sustained self-reported behavioral impact on our students. In the future, this intervention could easily be adapted for any four-week rotation during medical school to reduce burnout and increase physician wellness. In the modern world education is a key for success. Where a high school education was sufficient in previous generations, a college degree is now required to succeed in the new knowledge-based economies. There is a lot of pressure on students to excel so that they can get the best jobs after graduation. This stress might in fact be counterproductive as the increased pressure can actually lead to stress and anxiety which can impede the student’s physical and mental health, well-being, and school performance. 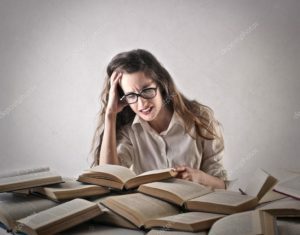 It is, for the most part, beyond the ability of the individual to change the environment to reduce stress, so it is important that methods be found to reduce the college students’ responses to stress; to make them more resilient when high levels of stress occur. So, it would seem important to examine various techniques to improve coping strategies for stress in college students. Contemplative practices including meditation, mindfulness training, and yoga practice have been shown to reduce the psychological and physiological responses to stress. Indeed, these practices have been found to reduce stress and improve psychological health in college students. In today’s Research News article “Differential Effect of Level of Self-Regulation and Mindfulness Training on Coping Strategies Used by University Students.” (See summary below or view the full text of the study at: https://www.ncbi.nlm.nih.gov/pmc/articles/PMC6210926/ ), Fuente and colleagues examined the ability of students to cope with the stress of final exams and the ability of mindfulness training to produce more effective coping strategies. They recruited college students and randomly assigned them to receive either 10 weeks, once a week for 1.5 hours, mindfulness training or to a no-treatment control condition. They were measured before and after training (during final exams) for self-regulation, including goal setting, perseverance, decision-making, and learning from mistakes, and coping strategies, including avoidant distraction, reducing anxiety and avoidance, preparing for the worst, emotional venting and isolation, resigned acceptance, family help and counsel, self-talk, positive reappraisal and firmness, communicating feelings and social support, and seeking alternative reinforcements. They found that there was an increase in coping strategies at the end of training during final exams for those students who were high in self-regulation. With students with low levels of self-regulation mindfulness training appeared to help by decreasing emotion-focused coping particularly preparing for the worst, resigned acceptance, emotional venting, and isolation, and by increasing positive coping including positive reappraisal and firmness, self-talk, help for action. 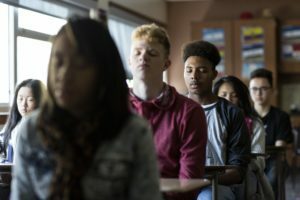 These results suggest that students who have difficulty with regulating their own behavior benefit the most from mindfulness training, decreasing ineffective coping strategies and increasing effective strategies. So, mindfulness training improves the student’s ability to cope with stress effectively when the student has difficulty regulating themselves. This makes sense as students who are self-disciplined can deal with stress without mindfulness, but those who are not self-disciplined need the assistance of the non-judgmental awareness characteristic of mindfulness to identify the most effective coping strategies to deal with the stress. So, improve coping strategies to stress with mindfulness. The purpose of this research was to verify, in a group of psychology students, whether mindfulness training in conjunction with the individual’s level of self-regulation behavior would produce a change in the use of coping strategies. A total of 38 students participated in this study, with one experimental group and one control group, in a randomized controlled trial. Observation of the experimental group revealed a significant decrease in specific emotion-focused, negative coping strategies (preparing for the worst, resigned acceptance, emotional venting, and isolation), and a significant increase in specific problem-focused, positive coping (positive reappraisal and firmness, self-talk, help for action), in combination with students’ existing low-medium-high level of self-regulation. 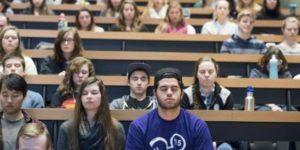 The importance and usefulness of mindfulness techniques in Higher Education is discussed, in conjunction with differences in university students’ level of self-regulation behavior. In the modern world education is a key for success. Where a high school education was sufficient in previous generations, a college degree is now required to succeed in the new knowledge-based economies. There is a lot of pressure on students to excel so that they can be admitted to the best universities and there is a lot of pressure on university students to excel so that they can get the best jobs after graduation. This is particularly true in highly rated, elite, universities. This stress might in fact be counterproductive as the increased pressure can actually lead to stress and anxiety which can impede the student’s physical and mental health, well-being, and school performance. It is, for the most part, beyond the ability of the individual to change the environment to reduce stress, so it is important that methods be found to reduce the college students’ responses to stress; to make them more resilient when high levels of stress occur. Contemplative practices including meditation, mindfulness training, and yoga practice have been shown to reduce the psychological and physiological responses to stress. Indeed, these practices have been found to reduce stress and improve psychological health in college students. So, it would seem important to examine various techniques to relieve the stress and its consequent symptoms in college students. The students described the high pressure, stressful, competitive environment of the university, their challenging schedules of academic studies, extracurricular activities, and volunteer work, and family pressure to succeed. About half of the participants reported chronic health conditions as a result of the stress. Reducing this stress was their primary motivation for participating in the MBSR program. They described the MBSR program as cultivating mindfulness, attention to the present moment and non-judgement. Non-judgement was particularly important as it stood in stark contrast to the competitive environment of the university. They also indicated that the program allowed them to step back and reframe their current existence and their lives. They described the benefits that they obtained from the MBSR program of reducing stress and anxiety and improving coping skills. They also reported improved relationships and academic performance. These qualitative results suggest that participation in Mindfulness-Based Stress Reduction (MBSR) program was of great benefit to these stressed college students, reducing their responses to stress and their self-judgement, and improving their mindfulness, productivity and overall well-being. These results mirror those seen with controlled quantitative studies. This suggests that participation in an MBSR program should be recommended for college students. So, promote health and well-being in stressed college students with mindfulness. Mindfulness-based stress reduction (MBSR) has been shown to improve health outcomes across populations. We explored the feasibility, acceptability, and initial effects of a pilot MBSR program at a highly-ranked university in the United States. We conducted 23 in-depth interviews with 13 students. Interviews explored stressors and coping mechanisms, experiences with MBSR, and its reported impact and potential future use. Interviews were analyzed using thematic content and narrative analyses. Results indicated that students are exposed to a very high level of constant stress related to the sheer amount of work and activities that they have and the pervasive surrounding university culture of perfectionism. MBSR offered an opportunity to step back and gain perspective on issues of balance and priorities and provided concrete techniques to counter the effects of stressors. We conclude that MBSR and mindfulness programs may contribute to more supportive university learning environments and greater health and well-being among students. Stress is epidemic in the western workplace with almost two thirds of workers reporting high levels of stress at work. In high stress occupations, like school teaching, burnout is all too prevalent. It frequently results from emotional exhaustion. Burnout is the fatigue, cynicism, emotional exhaustion, sleep disruption, and professional inefficacy that comes with work-related stress. This exhaustion produces a loss of enthusiasm, empathy, and compassion. Regardless of the reasons for burnout or its immediate presenting consequences, it is a threat to the effectiveness and mental health of teachers. Hence, preventing burnout in teachers is important. Mindfulness techniques, including meditation, yoga, and Mindfulness-Based Cognitive Therapy (MBCT) are gaining increasing attention for the treatment of the symptoms of stress and burnout. They have been demonstrated to be helpful in reducing the psychological and physiological responses to stress and for treating and preventing burnout in a number of work environments. Yoga practice has the extra benefits of not only being mindfulness training but also as an exercise. Hence, it’s important to study the effects of yoga practice on the mental health of teachers. In today’s Research News article “Increased Mental Well-Being and Reduced State Anxiety in Teachers After Participation in a Residential Yoga Program.” (See summary below or view the full text of the study at: https://www.ncbi.nlm.nih.gov/pmc/articles/PMC6083945/ ), Telles and colleagues recruited primary school teachers and assigned them to matched groups either receiving a residential yoga practice program or no-treatment. The residential yoga program consisted of 2 2-hour yoga practice sessions per day for 15 days along with theory presentations and discussion. Yoga practice included physical postures, meditation, regulated breathing exercises, and guided relaxation training. The teachers were measured before and after training for anxiety and mental well-being. They found that in comparison to baseline and to the no-treatment control group, the teachers who participated in the residential yoga program had significantly reduced anxiety levels and significantly improved mental well-being with moderate effect sizes. In this study there was not an active control condition, so conclusions must be tempered with the understanding that participant or experimenter bias might be responsible for the results. Nevertheless, the results are in line with previous findings from better controlled studies that yoga practice improves emotions and mental well-being. Hence, it would appear that yoga practice may be useful for lessening burnout in stressed teachers. So, improve teacher mental well-being with yoga. Reducing stress in the workplace improves mental health. Teaching is of social importance, but it may receive inadequate recognition and rewards. The present study compared mental well-being and state anxiety in primary school teachers who practiced 15 days of yoga in a residential setting with those who continued their usual routine. We enrolled 236 primary school teachers to participate in the study. We assigned 118 primary school teachers (group mean ±S.D., age 41.5±6.0 years, 74 females) to the experimental group; they underwent 15 days of yoga training for 6 hours/day) in a residential yoga center. The non-yoga control group (group mean ±S.D., age 42.3±6.0 years, 79 females) consisted of 118 teachers who continued with their normal teaching routine. After 15 days in the residential yoga program, there was an increase in overall mental well-being (p<.001) and lower state anxiety (p<.01) (repeated-measures ANOVA, followed by post hoc multiple comparison tests). At baseline, the non-yoga control group had higher levels of state anxiety, presumably related to their remaining in the workplace. The study was a 15-day, comparative, controlled trial. The results show that after 15 days of participation in the residential yoga program, primary school teachers increased all aspects of mental well-being and had reduced state anxiety. Yoga practice has been shown to have a large number of beneficial effects on the psychological, emotional, and physical health of the individual and is helpful in the treatment of mental and physical illness. 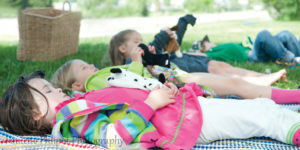 The acceptance of yoga practice has spread from the home and yoga studios to its application with children in schools. Studies of these school programs have found that yoga practice produces a wide variety of positive psychosocial and physical benefits. Teachers also note improvements in their students following yoga practice. These include improved classroom behavior and social–emotional skills, concentration, mood, ability to function under pressure, social skills, and attention and lower levels of hyperactivity. In addition, school records, academic tests have shown that yoga practice produces improvements in student grades and academic performance. This, in turn, improves the classroom experience for the teachers. Hence there are very good reasons to further study the effects of yoga practice in school on grammar school children. 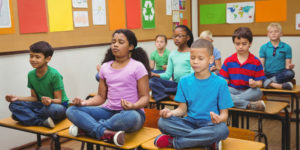 In today’s Research News article “Effect of mindfulness and yoga on quality of life for elementary school students and teachers: results of a randomized controlled school-based study.” (See summary below or view the full text of the study at: https://www.ncbi.nlm.nih.gov/pmc/articles/PMC5903833/ ), Bazzano and colleagues recruited third grade students who screened positive for symptoms of anxiety and randomly assigned them to receive either an 8-week yoga/mindfulness training or to a no-treatment control condition. The yoga program occurred in 10 in-class 40-minute sessions and included postures, breathing exercises, and relaxation. The students were measured at the beginning, middle, and end of the 8-week intervention period for life satisfaction and childhood quality of life including physical, emotional, social, and school domains. In addition, teachers were measured for health-related quality of life. They found that in the middle and after the yoga/mindfulness intervention the students had significant improvements in psychosocial and emotional quality of life. The teachers reported that after the program they were significantly more likely to include yoga practice in their classrooms. Hence, the brief yoga/mindfulness program was successful in improving the social and emotional life conditions for the children and these improvements were sufficiently noticeable that the teachers decided to continue employing yoga practice in the classroom after the program was completed. These results are encouraging and suggest that even at a relatively young age and early in children’s school life practicing yoga in school improves their and their teachers’ lives. It should be noted that the comparison condition did not include any treatment. In future research an active control condition such as aerobic exercise should be included to determine if the effects are specific for yoga practice or might occur with any exercise program. Regardless, the program helped to improve the lives of anxious young students. So, improve the emotional and psychosocial quality of life of grammar school children with Yoga. To assess the impact of a yoga curriculum in an elementary school on student quality of life, and to assess teacher and staff perception of potential barriers to, and benefits of, introducing yoga and mindfulness into the classroom. A randomized controlled trial was utilized to assess the impact of a brief intervention on third-grade students who screened positive for symptoms of anxiety. Students were randomized to an intervention group of 20 students receiving small-group yoga/mindfulness activities for 8 weeks between October 2016 and February 2017, and a control group of 32 students receiving care as usual. The Brief Multidimensional Students’ Life Satisfaction Scale-Peabody Treatment Progress Battery and the Pediatric Quality of Life Inventory (PedsQL) served as outcomes. Teachers were invited to participate in two professional development sessions about introducing yoga and mindfulness into the classroom, and completed a survey following each of the sessions. In generalized estimating equation models adjusted for time, the yoga-based intervention was associated with a 14.17 unit increase in student emotional PedsQL (p-value 0.001) and a 7.43 unit increase in psychosocial PedsQL (p-value 0.01). Results were not attenuated by adjustment. Teachers and staff reported using yoga more frequently in the classroom following the second of two professional development sessions (p-value <0.05). Perceived barriers to introducing yoga to the classroom were similar at two data collection time points, while perceived benefits remained high. The intervention was associated with a significant improvement in emotional and psychosocial quality of life in the intervention group when compared to the control group, suggesting that yoga/mindfulness interventions may improve symptoms of anxiety among students. Yoga/mindfulness activities may facilitate stress management among elementary school students and may be added as a complement to social and emotional learning activities. In the modern world education is a key for success. Where a high school education was sufficient in previous generations, a college degree is now required to succeed in the new knowledge-based economies. There is a lot of pressure on students to excel so that they can be admitted to the best universities and there is a lot of pressure on university students to excel so that they can get the best jobs after graduation. As a result, parents and students are constantly looking for ways to improve student performance in school. The primary tactic has been to pressure the student and clear away routine tasks and chores so that the student can focus on their studies. But, this might in fact be counterproductive as the increased pressure can actually lead to stress and anxiety which can impede the student’s mental health, well-being, and school performance. It is, for the most part, beyond the ability of the individual to change the environment to reduce stress, so it is important that methods be found to reduce the college students’ responses to stress; to make them more resilient when high levels of stress occur. Contemplative practices including meditation, mindfulness training, and yoga practice have been shown to reduce the psychological and physiological responses to stress. So, it would seem important to examine various techniques to relieve the stress and its consequent symptoms in college students. In today’s Research News article “A Randomized Controlled Trial Comparing the Attention Training Technique and Mindful Self-Compassion for Students with Symptoms of Depression and Anxiety.” (See summary below or view the full text of the study at: https://www.frontiersin.org/articles/10.3389/fpsyg.2018.00827/full?utm_source=F-AAE&utm_medium=EMLF&utm_campaign=MRK_662896_69_Psycho_20180605_arts_A ), Haukaas and colleagues explore the ability of attention training and mindfulness training to help relieve the anxiety and depression in college students resulting from stress. They recruited undergraduate and graduate students who self-reported depression, anxiety, and stress. They were randomly assigned to receive 3 group sessions for 45 minutes for three consecutive weeks of either Attention Training or Mindfulness and Self-Compassion training. Each training included daily home practice with pre-recorded audio recordings. Attention training was designed “to strengthen attentional control and promote external focus of attention, to interrupt and break free of the cognitive attentional syndrome, consisting of prolonged worry or rumination, threat monitoring, and different unhelpful coping styles accompanied by a heightened self-focused attention.” Mindfulness and Self-Compassion training consisted of training to pay attention to the present moment and “to relate to oneself in a kinder and more accepting manner.” Training including Loving Kindness Meditation practice. Participants were measured before and after training for depression, anxiety, self-compassion, responses to thoughts, and mindfulness. They found that both Attention Training and Mindfulness and Self-Compassion training produced significant reductions in general and test anxiety and depression and significant increases in mindfulness, self-compassion, attention flexibility, and self-esteem. The effects were moderate to large indicating fairly powerful effects of the treatments. It should be noted that there wasn’t a control condition and both treatments were associated with significant changes. It is thus possible that confound or bias was present that could account for some or all of the changes. But, the effects were strong and commensurate with previous findings that mindfulness training reduces anxiety and depression and increases self-compassion. Thus, it would appear that the two treatments are effective for improving the psychological health of stressed university students. 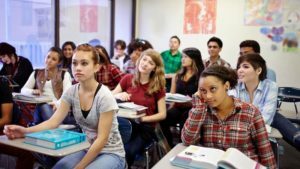 So, reduce anxiety and depression in stressed college students with mindfulness and attention training. The Attention Training Technique (ATT) and Mindful Self-Compassion (MSC) are two promising psychological interventions. ATT is a 12-min auditory exercise designed to strengthen attentional control and promote external focus of attention, while MSC uses guided meditation and exercises designed to promote self-compassion. In this randomized controlled trial (RCT), a three-session intervention trial was conducted in which university students were randomly assigned to either an ATT-group (n = 40) or a MSC-group (n = 41). The students were not assessed with diagnostic interviews but had self-reported symptoms of depression, anxiety, or stress. Participants listened to audiotapes of ATT or MSC before discussing in groups how to apply these principles for their everyday struggles. Participants also listened to audiotapes of ATT and MSC as homework between sessions. Participants in both groups showed significant reductions in symptoms of anxiety and depression accompanied by significant increases in mindfulness, self-compassion, and attention flexibility post-intervention. These results were maintained at 6-month follow-up. Improvement in attention flexibility was the only significant unique predictor of treatment response. The study supports the use of both ATT and MSC for students with symptoms of depression and anxiety. Further, it suggests that symptom improvement is related to changes in attention flexibility across both theoretical frameworks. Future studies should focus on how to strengthen the ability for attention flexibility to optimize treatment for emotional disorder. In the modern world education is a key for success. Where a high school education was sufficient in previous generations, a college degree is now required to succeed in the new knowledge-based economies. There is a lot of pressure on students to excel so that they can be admitted to the best universities and there is a lot of pressure on university students to excel so that they can get the best jobs after graduation. As a result, colleges, parents, and students are constantly looking for ways to improve student performance in school. The primary tactic has been to pressure the student and clear away routine tasks and chores so that the student can focus on their studies. But, this might in fact be counterproductive as the increased pressure can actually lead to stress and anxiety which can impede performance. These stressors are at their peak when new students transition to college. 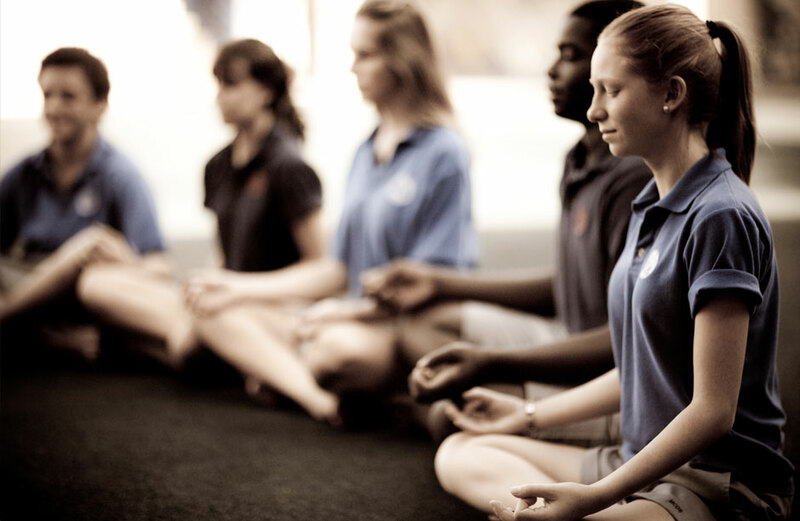 Mindfulness training for incoming students may be an answer as mindfulness have been shown to be helpful in reducing the physiological and psychological responses to stress and to improve coping with the school environment and enhance performance. So, perhaps, mindfulness training may help ease students’ transition to college. In today’s Research News article “Promoting healthy transition to college through mindfulness training with first-year college students: Pilot randomized controlled trial.” (See summary below or view the full text of the study at: https://www.ncbi.nlm.nih.gov/pmc/articles/PMC5810370/ ), Dvořáková and colleagues recruited first year college students who resided on campus and randomly assigned them to either a wait-list control condition or to a 6-week mindfulness training condition with 2 80-minute sessions for the first two weeks and 1 session per week for the remaining 4 weeks. The training occurred in a group format during their first semester on campus and included instruction on emotion regulation, mindfulness techniques, and daily home practice. The students were measured before and after training for mindfulness, anxiety, depression, satisfaction with life, compassion, self-compassion, social connectedness, sleep, alcohol use and consequences, and program acceptability. They found that the students who attended the mindfulness trainings had significantly lower levels of anxiety depression, alcohol-related consequences, and sleep issues and higher levels of life satisfaction in comparison to baseline and the wait-list control students. Hence, the mindfulness program improved the psychological health of the new college students, thereby easing their transition to the university environment. This is a pilot study, so results need to be interpreted with caution. But, the results are sufficiently interesting and potentially important that a large scale controlled clinical trial with an active control group is warranted. The Freshman year in college is critical. Most of the students who fail to complete a college degree drop out in the first year. So, it is particularly important to find ways to help Freshman transition to university life and be successful. The present study suggests that mindfulness training may be an effective component in a university’s programs for Freshman to help promote their psychological health and academic performance in their critical first year. So, improve students transition to college with mindfulness. Given the importance of developmental transitions on young adults’ lives and the high rates of mental health issues among U.S. college students, first-year college students can be particularly vulnerable to stress and adversity. This pilot study evaluated the effectiveness and feasibility of mindfulness training aiming to promote first-year college students’ health and wellbeing. 109 freshmen were recruited from residential halls (50% Caucasian, 66% female). Data collection was completed in November 2014. A randomized control trial was conducted utilizing the Learning to BREATHE (L2B) program, a universal mindfulness program adapted to match the developmental tasks of college transition. Participation in the pilot intervention was associated with significant increase in students’ life satisfaction, and significant decrease in depression and anxiety. Marginally significant decrease was found for sleep issues and alcohol consequences. Mindfulness-based programs may be an effective strategy to enhance a healthy transition into college. It is, for the most part, beyond the ability of the individual to change the environment to reduce stress, so it is important that methods be found to reduce the college students’ responses to stress; to make them more resilient when high levels of stress occur. Contemplative practices including meditation, mindfulness training, and yoga practice have been shown to reduce the psychological and physiological responses to stress. In, addition, exercise if also know to reduce responses to stress. But, nearly half of college students are physically inactive. So, yoga, which is both a mindfulness practice and a physical activity should be particularly effective. In today’s Research News article “Psychophysiological effects of yoga on stress in college students.” (See summary below or view the full text of the study at: https://www.ncbi.nlm.nih.gov/pmc/articles/PMC5868218/ ), Tripathi and colleagues review the published research literature on the effectiveness of yoga practice to reduce the physiological and psychological responses to stress in college students. They report yoga training has been found to reduce autonomic arousal, reducing sympathetic nervous system activity and increasing parasympathetic nervous system activity. Since, physiological arousal is characteristic of stress responding, yoga practice reduces this physiological marker of stress. Yoga practice reduces perceived stress, tension, sleepiness, worry, and negative emotions and increases relaxation, mental quiet, peace, rest, strength, awareness and joy, thereby improving psychological well-being. Hence, the existing research suggests that yoga practice may be valuable in helping college students cope with the physical and mental consequences of stress and thereby improve their performance in school. So, improve college students responses to stress with yoga. College students are vulnerable to a critical period in developmental maturation, facing rigorous academic work, and learning how to function independently. Physical activities such as running and bicycling have been shown to improve mood and relieve stress. However, college students often have low levels of physical activity. Yoga is an ancient physical and mental activity that affects mood and stress. However, studies examining the psychophysiological effects of yoga are rare in peer-reviewed journals. The aim of this study is to establish preliminary evidence for the psychophysiological effects of yoga on stress in young-adult college students. The present study suggests that yoga has positive effects on a psychophysiological level that leads to decreased levels of stress in college student. Further research is needed to examine the extent to which different types of yogic practices address the needs of different college subpopulations (e.g., overweight, sedentary, and smokers). Childhood is a miraculous period during which the child is dynamically absorbing information from every aspect of its environment. This occurs almost without any intervention from the adults as the child appears to be programmed to learn. It is here that behaviors, knowledge, skills, and attitudes are developed that shape the individual. But, what is absorbed depends on the environment. If it is replete with speech, the child will learn speech, if it is replete with trauma, the child will learn fear, if it is replete with academic skills the child will learn these, and if it is replete with interactions with others, the child will learn social skills. Pre-School and elementary school are environments that have a huge effect on development. They are also excellent times to teach children the skills to adaptively negotiate its environment. Mindfulness training in school, at all levels has been shown to have very positive effects. These include academic, cognitive, psychological, and social domains. Importantly, mindfulness training in school appears to improve the student’s self-concept. It also improves attentional ability and reduces stress, which are keys to successful learning in school. Since, what occurs in these early years and in school can have such a profound, long-term effect on the child it is important to further study the impact of mindfulness training on the development of thinking skills in pre-school children. In today’s Research News article “Mindfulness Plus Reflection Training: Effects on Executive Function in Early Childhood.” (See summary below or view the full text of the study at: https://www.frontiersin.org/articles/10.3389/fpsyg.2018.00208/full?utm_source=F-AAE&utm_medium=EMLF&utm_campaign=MRK_556427_69_Psycho_20180301_arts_A ), Zelazo and colleagues recruited preschool children (4-5 years old) from two schools with predominantly children from low-income families and randomly assigned them to either Mindfulness + Reflection, Literacy, or Business as Usual conditions. Mindfulness + Reflection and Literacy training occurred daily for 6 weeks for 24 minutes per day. Mindfulness + Reflection training was adapted for young children and involved mindfulness and relaxation exercises, attention to thoughts and emotions, and cognitive enrichment programs; particularly attention training. The literacy program was adapted from the OWL (Opening the World of Learning) program. The children were measured before the 6-week training period for vocabulary, math skills, IQ, and reading readiness. The children were measured before and after the 6-week training period and 4-6 weeks later for executive function, theory of mind, and literacy with measures adapted for young children. Teachers also rated the children for behaviors indicating surgency, negative affect, and effortful control and for attachment/relationships, behavioral concerns, initiative, and self-control. They found that after training most of the children in all groups showed significant improvements on many of the measures. But, the children participating in the Mindfulness + Reflection program had significantly greater increases in overall executive function scores including working memory measures. The literacy training group had significantly greater improvements in effortful control reflecting improvements in inhibitory control, attentional control, low intensity pleasure, and perceptual sensitivity. Hence, they found evidence that mindfulness training can improve thinking while literacy training can improve behavioral control in very young disadvantaged children. This study is laudable as working with and measuring very young children is challenging and requires insight and creativity. But, research conducted during this dynamic phase of development is particularly important. Of course, much more work is needed. But these results are promising and lend support to conducting further work. Executive function (EF) skills are essential for academic achievement, and poverty-related stress interferes with their development. This pre-test, post-test, follow-up randomized-control trial assessed the impact of an intervention targeting reflection and stress reduction on children’s EF skills. Preschool children (N = 218) from schools serving low-income families in two U.S. cities were randomly assigned to one of three options delivered in 30 small-group sessions over 6 weeks: Mindfulness + Reflection training; Literacy training; or Business as Usual (BAU). Sessions were conducted by local teachers trained in a literacy curriculum or Mindfulness + Reflection intervention, which involved calming activities and games that provided opportunities to practice reflection in the context of goal-directed problem solving. EF improved in all groups, but planned contrasts indicated that the Mindfulness + Reflection group significantly outperformed the BAU group at Follow-up (4 weeks post-test). No differences in EF were observed between the BAU and Literacy training groups. Results suggest that a brief, small-group, school-based intervention teaching mindfulness and reflection did not improve EF skills more than literacy training but is promising compared to BAU for improving EF in low-income preschool children several weeks following the intervention.